All of our pizzas are freshly made to order & we’re very happy to add or remove ingredients, just speak to our chefs. We also have popular Vegetarian and Vegan pizzas on our menu. We make our dough and gluten free dough on site here at Bath Pizza Co daily. We’re on the same site as our sister business, Green Park Brasserie. On their menu you’ll find seasonal, local dishes including local Steaks, Burgers, Fish Pie, Vegan dishes, Pastas, Pâté, Crab Cakes, Salads, and range of evening specials and desserts. The Brasserie kitchen also produces arguably the best Sunday Roast Lunch in Bath as well as a Deli Lunch throughout the week. Live music (jazz/funk/swing) runs 4 nights a week. Home of the £10 pizza and pint or prosecco deal! We have some fantastic offers and deals for our customers. You can learn more about our deals and offers here. Our popular £12.50 deal is the same as our £10 deal but with one of our fantastic Marshfield Farm Ice Cream. 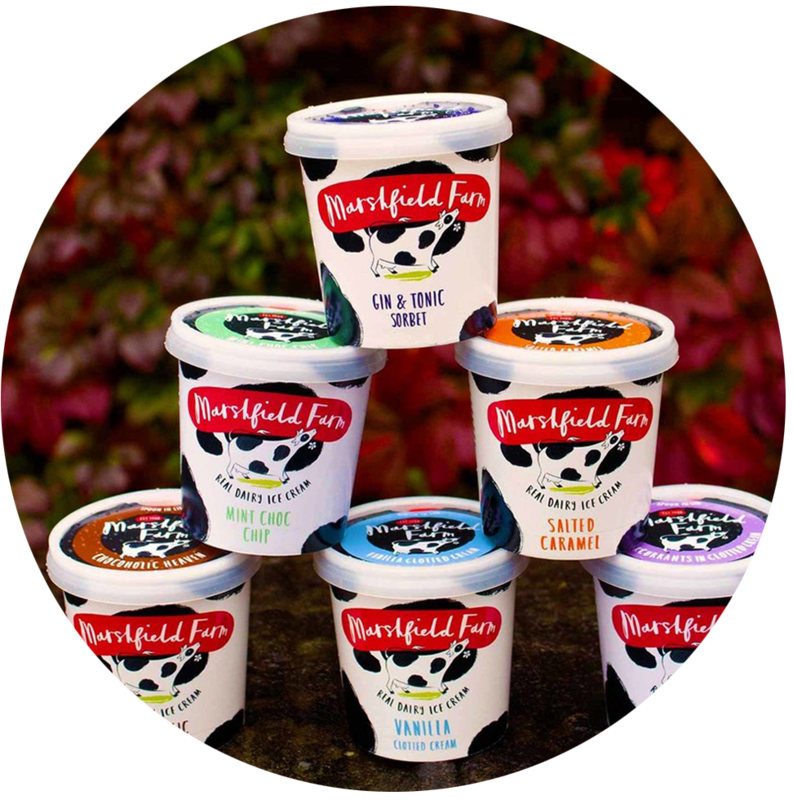 We stock a brilliant range of Marshfield Farm Ice Creams which are made 8 miles away in the Cotswolds.